1) Explain the indications, rationale & complications for tracheostomies. 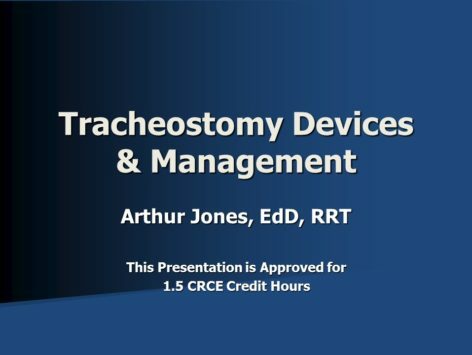 2) Compare various tracheostomy tubes with respect to their features & clinical applications. 3) Describe tracheostomy care clinical procedures. 4) Solve common clinical problems that occur among tracheotomized patients. 5) Enable communications for patients with artificial airways.